Monterey wines rely on warm sun, cool fog and nurturing soils resulting in intense varietal flavor. Chardonnay, pinot blanc and riesling are notable varietals grown near the coast, while reds are more common in the warmer southern areas. You can sample them all while your dog waits patiently (we hope!) by your side at dozens of pet-friendly tasting rooms. Best bet: Pick a region and check out our recommended itineraries. • The River Road Wine Trail is an association of tasting rooms located primarily in the Santa Lucia Highlands above Salinas Valley. 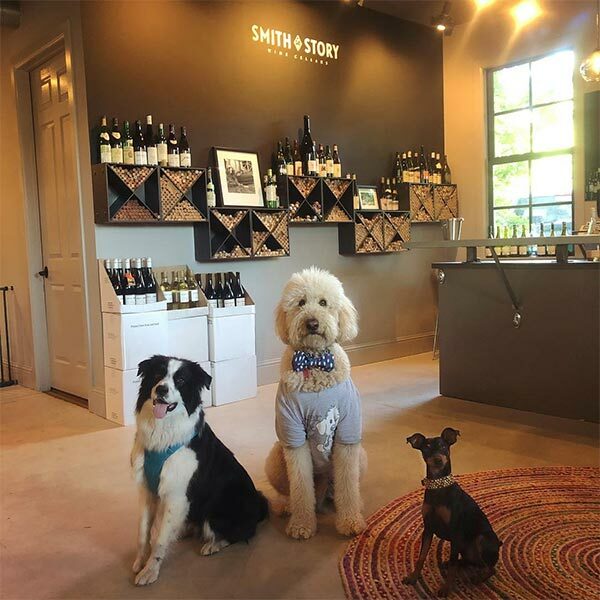 Almost all of the charming and intimate tasting rooms are dog-friendly, including those at Hahn, Manzoni Estate, Smith Family Wines, Pessagno, Ray Franscioni, Scheid and Wrath. 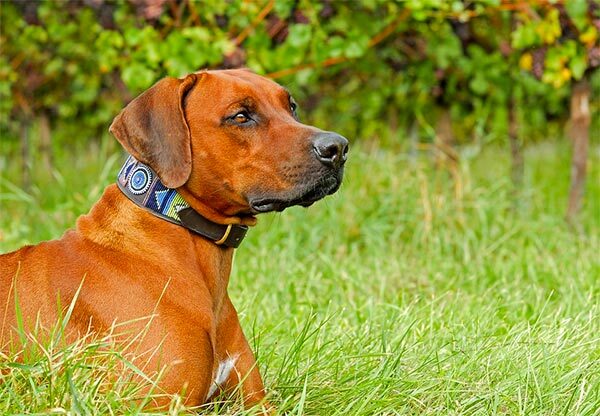 • Carmel Valley, just minutes from downtown Monterey or Carmel, has a microclimate all its own, and its wine tasting rooms are nothing if not dog-friendly. They include Cima Colina (which donates a portion of profits to local dog-rescue organizations) and Bernardus (where they say "dogs welcome with well-behaved people"), as well as Boekenoogen – Carmel Valley, Joullian Vineyards, Taste Morgan and Talbott Vineyards, all on or just a short jaunt from Carmel Valley Road. For a less rural experience, check into member establishments of Carmel Village’s Wine-Walk-by-the-Sea group, which encompasses a baker’s dozen in-town tasting rooms, all of them dog-friendly. Buy a wine walk passport ($100) to enjoy a self-paced, self-guided stroll between establishments and enjoy three or four one-ounce pours at up to 10 of them. You can use your tickets on the same or repeat visits within six months and yes, they’re transferable. Among our favorite stops are several with production facilities elsewhere in the county: Scheid Vineyards, Wrath, Dawn’s Dream and Silvestri.